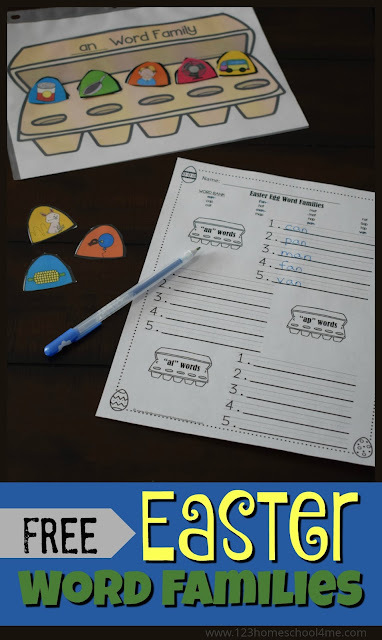 Practicing word families is such a great activity for kindergarten and first grade kids to help them with read and spelling. 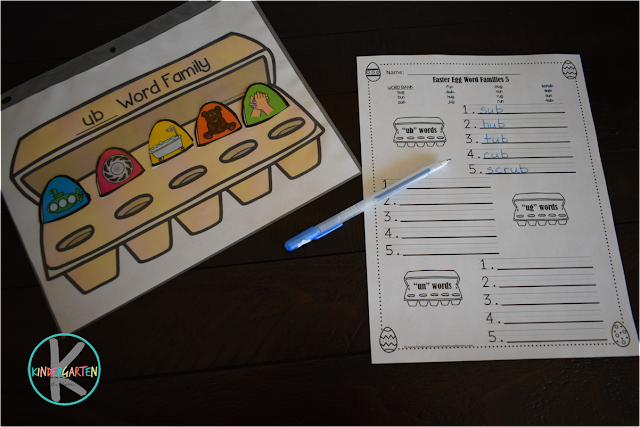 This Easter Word Families activity is both hands, fun, and with a worksheet element making it perfect for centers or at home. 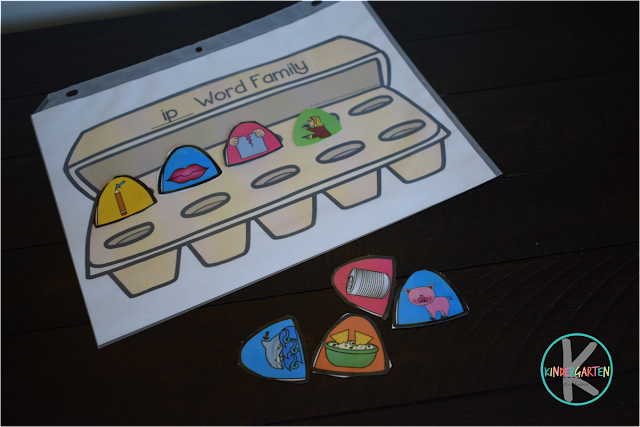 This is such a fun, hands on Easter Word Families activity that is sure to make kids WANT to play and learn. 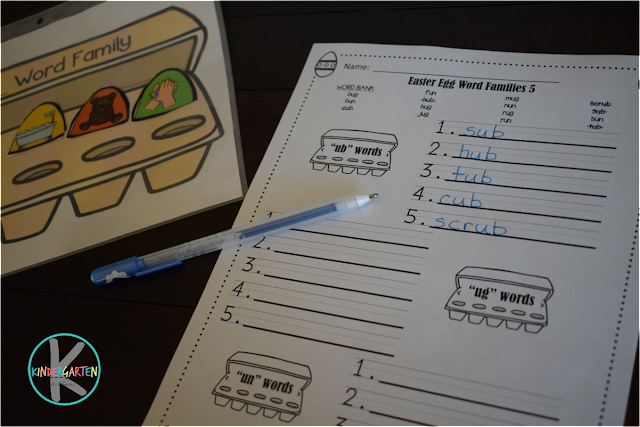 It has both a reusable and consumable part, making this a great Easter Literacy Center! First print all the pages in color. Then slide the egg carton pages in sheet protectors. Next, laminate the colored egg pieces for durability and then cut them out. Finally print the black and white worksheets. You are all ready to play and learn! This makes a GREAT Easter Center for preschool, Kindergarten, and first grade kids! You can set out all 15 pages at a time or have students focus on the 3 pages per vowel – which is what we did. Kids will sort the colorful easter eggs into the correct egg carton by saying the word identified by the picture out loud. Then they will put them in the correct word family carton. 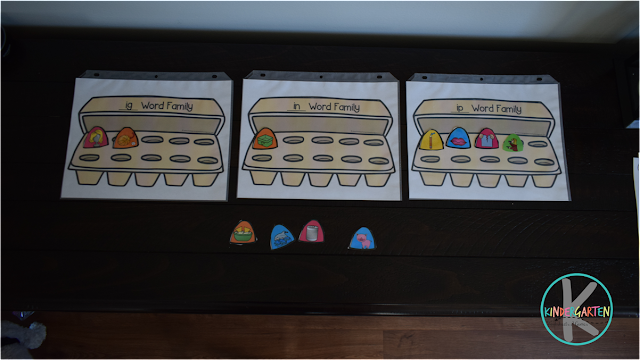 Once your students finish sorting the egg pictures by word family, they will fill out they can fill out the worksheet. 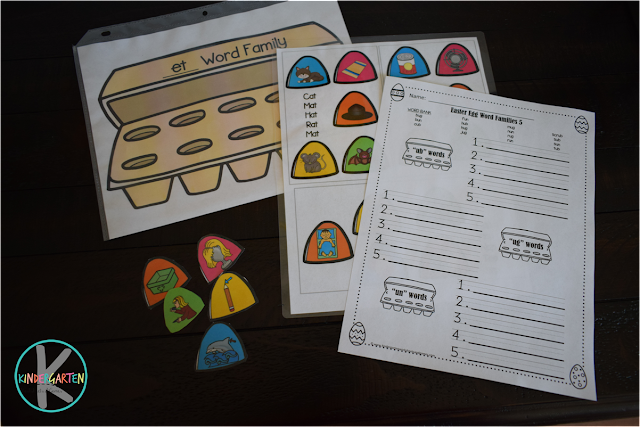 There is a worksheet covering each vowel word families.